Mistletoe is primarily used to relax the body and prevent heart disease. Blood pressure: Mistletoe can help to lower heart rate and blood pressure. Anxiety: Mistletoe can help to relieve anxiety and has even been used to treat epilepsy in some people. Sleeplessness: Mistletoe can be used to help aid in sleep. 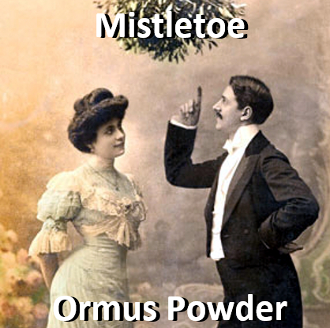 When you think of mistletoe, you might conjure up mental images of kissing under the common holiday herb. While mistletoe holds a key part in our winter holiday celebrations, this festive herb also holds its weight as a natural treatment for a variety of ills. In fact, its medicinal applications can be dated back to Ancient Greece. If you’re familiar with the botany of mistletoe, you’re probably aware that the American mistletoe plant is considered toxic. Mistletoe extract from the European plant, however, has been used to help treat a number of health conditions - most notably natural adjunct cancer treatments. Before becoming a topic of study as a potential cancer treatment, mistletoe was used for centuries in European herbalism. It was often used historically in Old Europe for treatment of epilepsy and other convulsive nervous disorders. This may have been an effective treatment, as mistletoe is a nervine and a narcotic, and has a profound effect on the nervous system. It has also been used as a natural remedy for hypertension, headaches, menopausal symptoms, infertility, arthritis, and rheumatism. It wasn’t until around the 1920s that the herb was studied for its application in treating cancer. Today, mistletoe is prescribed in Europe as complementary-based therapy since it appears to help in reducing adverse chemotherapy side effects as well as anti-cancer activity. In fact, using mistletoe extract for treating cancer is so widespread in central Europe, it is estimated that as many as 60 to 70 percent of cancer patients incorporate it into their therapy. This really isn’t too surprising considering that study after study keeps pointing to mistletoe's anticancer properties. For example, according to a 2005 study, " The results of our preclinical investigation demonstrate that intratumoural injections of a lectin-rich ME [mistletoe extract] can effect complete remissions in a pancreatic cancer xenograft." Whereas a study published earlier this year found that a mistletoe extract induces rapid cell death in melanoma cells. Mistletoe also helps modulate your immune system—revving up an underperforming system, yet calming down an overactive immune system--another critical component to preventing and treating cancer. In fact, a National Cancer Institute review of more than 70 studies of mistletoe's effect on cancer in humans found consistent results across the board: including tumor shrinkage, higher survival rates, improved blood counts, and better quality of life for the patients. It is for these reasons and more that you will find mistletoe in Jon Barron’s Blood Support formula. In addition, a compelling case can be made for careful investigation of mistletoe's anti-diabetic properties. African mistletoe has long been used to treat diabetes in Nigeria. In rats with diabetes, the health benefits of mistletoe have been shown to reduce blood glucose levels. Another study demonstrated that mistletoe extract stimulated insulin secretion from clonal pancreatic cells. Japanese researchers have demonstrated that both Japanese and European mistletoe extracts had blood pressure lowering effects in a study of cats. Mistletoe extract is also frequently used to help treat convulsive coughing, bronchic asthma, and asthmatic attacks. Its calming properties help relieve the psychological tension that occurs when an asthmatic has difficulty in drawing breath. In summary, due to its broad-spectrum normalising and toning effects, one may use mistletoe as part of a regenerative programme alongside Noni and superfoods such as Pollen and Chlorella. This is made from mixing Mistletoe leaves in warm harmonically structured distilled water to make a tea. Then I add equal parts of Washing soda and Dead Sea Salt and mix it up well while adding intent. 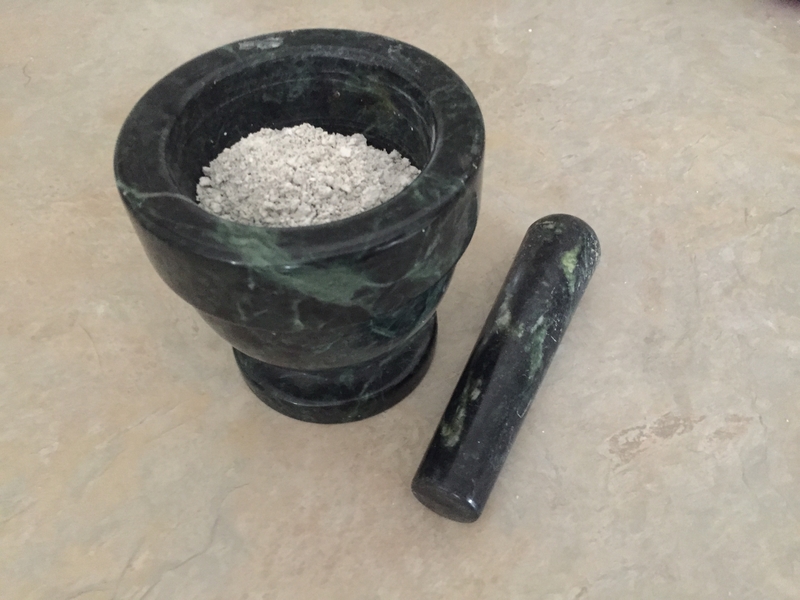 After washing it 3 times and drying it out, it is now a fine white Ormus powder.